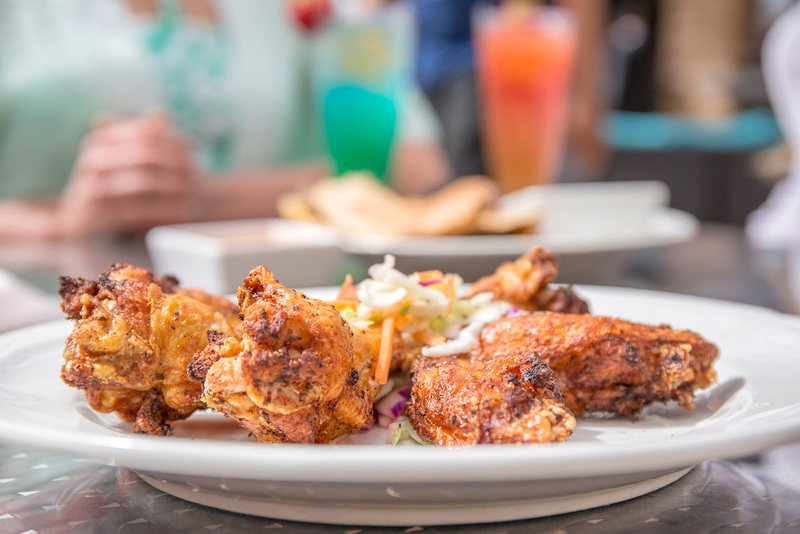 Whether you want to dine in with us or explore some of Orlando’s finest dining establishments, you can find something for any taste here at The Point. Let us show you the coolest places to eat that the locals love. Start your adventure-filled day at the Barista in our lobby. Enjoy a Starbucks specialty beverage with a friend or grab bagels and pastries on the go. 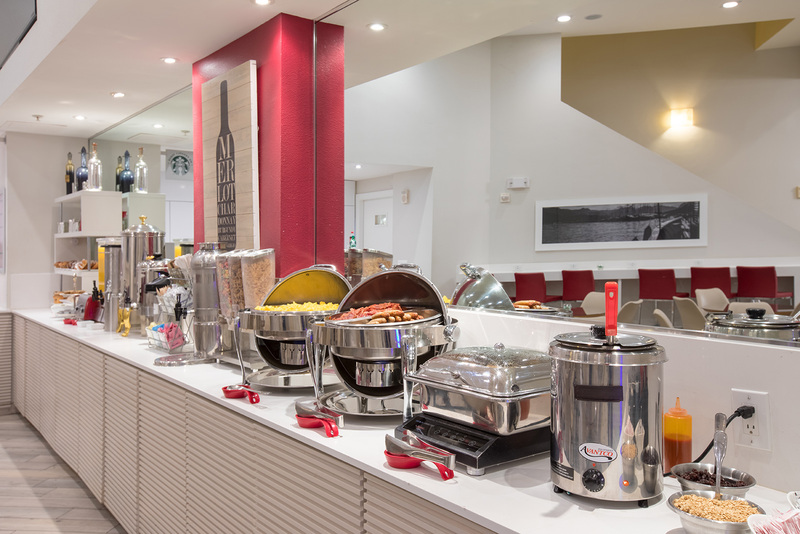 Have a relaxing morning with a hot American buffet-style breakfast featuring scrambled eggs, sausage, fruit and more. Proudly serving you from 6:30 am to 11:00 am daily. 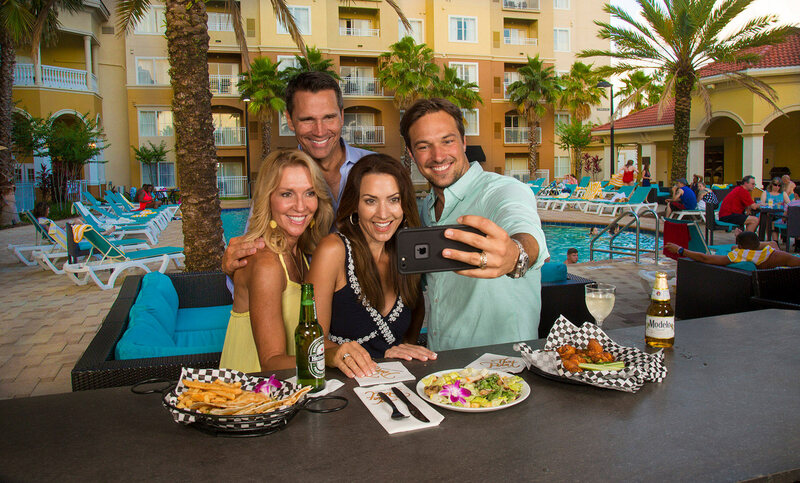 The poolside Cabana Bar and Grill is the place to enjoy casual American cuisine and frosty beverages. 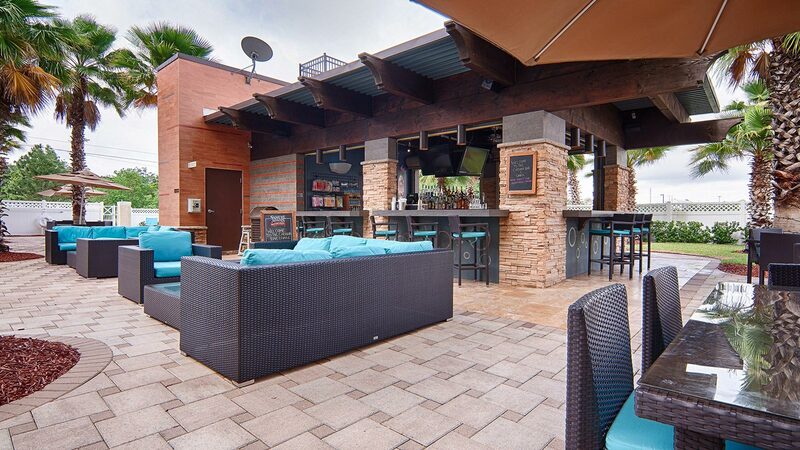 Sip a glass of wine or grab a refreshing craft beer or cocktail while you lounge in the pool. Snack on appetizers, made-to-order burgers, sandwiches and salads from 11:00 am to 11:00 pm daily. JOIN US FOR MARTINI MONDAYS! Join us for Classic Cocktail Wednesdays! Join us for Tiki Fridays! 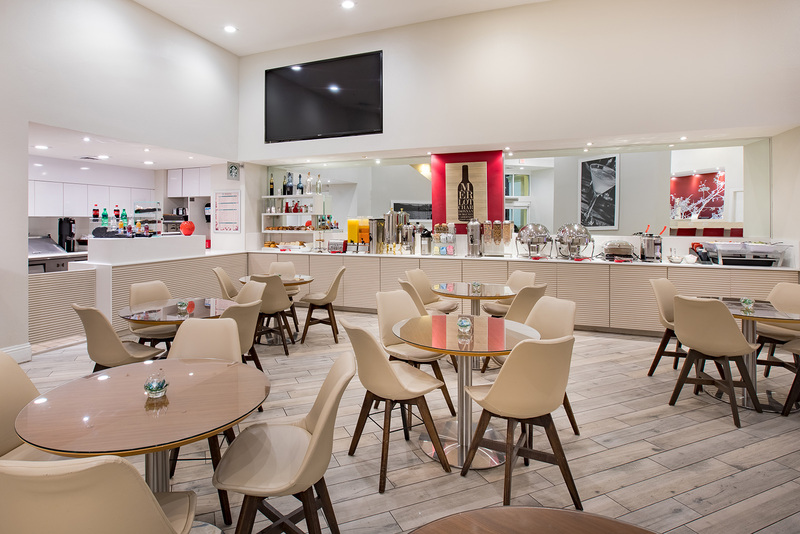 The Point Hotel & Suites is centrally located on Universal Boulevard and close to some of the best local restaurants and nightlife in Orlando. Whether you're looking for an elegant steakhouse, hip bar scene, or casual dining experience, the perfect restaurant awaits.